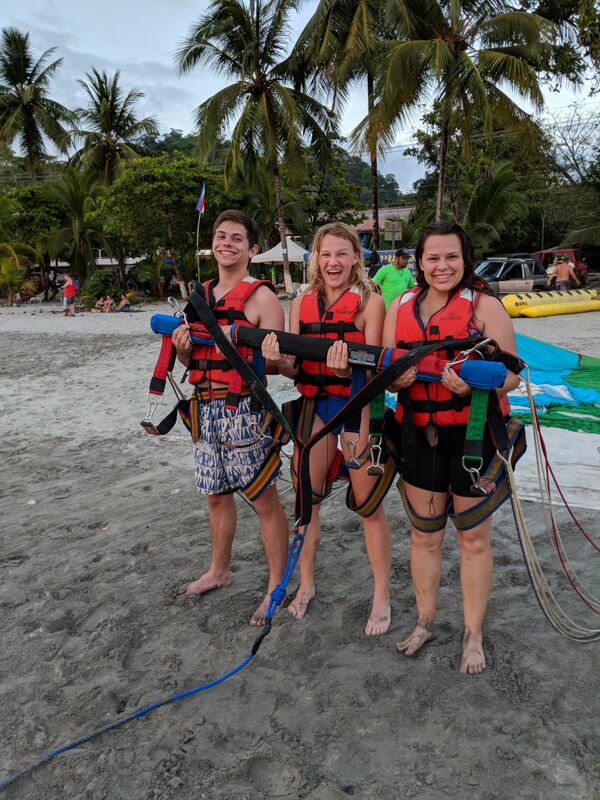 My experience abroad in Costa Rica has undoubtedly been the greatest of my life! SOL is an incredible program that has helped me dramatically improve my Spanish and exposed me to new cultures and perspectives. I have made lasting friendships and learned lessons about myself that I will carry with me for the rest of my life. What’s amazing about SOL is that there are excursions and planned activities that open your mind and help you gain a new perspective on the world. It really is a full-immersion program, both in Spanish and culture. At the end of our first week we visited Volcan Arenal and La Fortuna Waterfall, and went ziplining. It was so much fun and the first time I really felt the sense of adventure of being abroad. At the end of the fourth week, we went to Manuel Antonio, one of Costa Rica’s most stunning beaches. It was amazing to bond with the other students in the program as we swam and hiked together. We had plenty of free time and I went parasailing at sunset, which was one of my favorite experiences abroad. Our longest excursion was to Nicaragua at the halfway point of the program. We spend four days there and learned all about the local culture and how different it was from Costa Rica. It was absolutely gorgeous, but also very eye-opening, as Nicaragua is currently going through economic and political difficulties. My favorite part of that trip was visiting Café de las Sonrisas, a café and restaurant that is funded by selling hammocks made by Nicaraguan people who are deaf and were turned away from work elsewhere; it was an impactful experience I will never forget. SOL also made sure to expose us to more local places and things to do. We explored downtown Heredia, the city we all lived in, and Costa Rica’s capital, San Jose. After we became familiar with how to navigate our way around, we went out all the time to go to local markets, get coffee, and go to local art and food festivals. There was always something unique and fun to do. One of my favorite local trips was to the Toucan Rescue Ranch, a sanctuary for sick and injured animals to be rehabilitated and released back into the wild. It was the first time I saw a sloth, and they were so cute I actually cried! One of the reasons I think SOL is so incredible is that there was the perfect balance of free time and planned activities, and we were always encouraged to make the most of our time by travelling independently. For our free weekends, people would come up with different things to do and places to go, and whoever wanted to join was welcome. 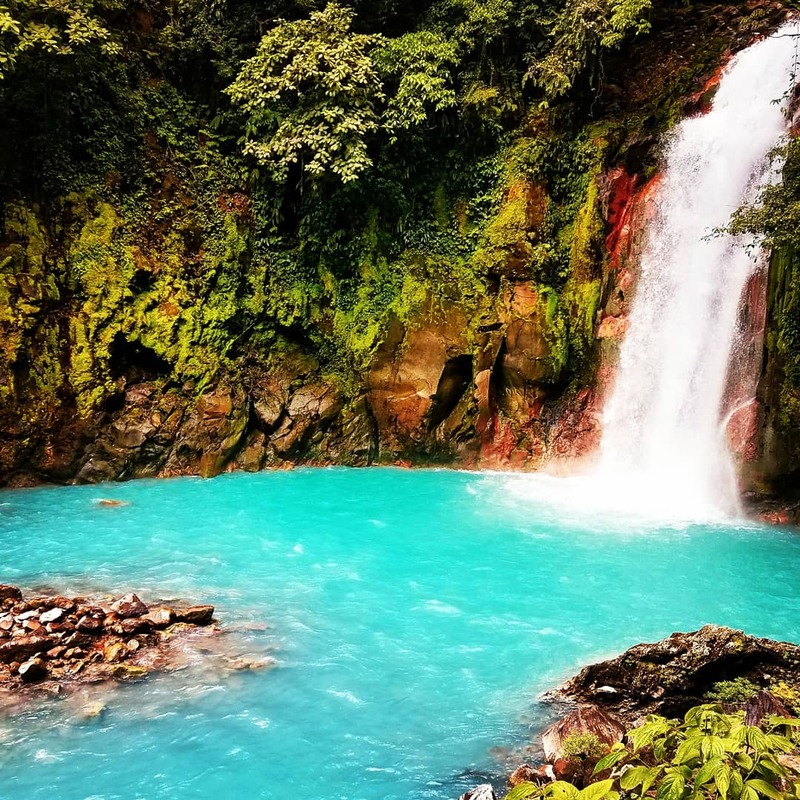 I went on a ten-mile hike at Volcan Barva, took a beach trip to Jaco, visited one of Costa Rica’s most important Catholic sites in Cartago, hiked for two days in Monteverde, went to Volcan Irazu high above the clouds, and swam in the turquoise waters of Rio Celeste. Between our excursions and travelling independently, I was able to experience everything Costa Rica has to offer. One thing that I cannot praise enough is my host family. SOL does an amazing job of finding the best host families for its students. My host mother is one of the most incredible women I have ever met, and her family is amazing. They all immediately made me feel welcome, loved, and cared for. My experience would simply have not been as good without them! If you are considering studying abroad, I cannot recommend SOL enough. You will be cared for and encouraged at all times, make lifelong friendships, learn a lot about yourself and what you are capable of, and have the best time of your life!